The government has established the National Transport Authority acting from the 1st of January 2007 under the supervision of the Ministry responsible for Transport as the legal successor to the General Inspectorate of Transport, the Central Inspectorate of Transport, the Local Transport Inspectorates in the counties and the Civil Aviation Authority for carrying out authorizational tasks in the fields of road, railway, water and air transport. The Oneworld Cockpit Crew Coalition (OCCC) is the official federation of pilot unions of the oneworld Alliance. At present (June 2012) there are 14 pilot associations part of this organization, representing approximately 28,000 employees of either full oneworld member airlines or so called airline affiliates. ECA was created in 1991 and is the representative body of European pilots at European Union (EU) level. It represents over 38,000 European pilots from the National pilot Associations in 37 European states. Air crews’ Flight Time Limitations are about YOU – they affect your safety as a passenger. When boarding an airplane, you want your fundamental right to a safe flight to be guaranteed. 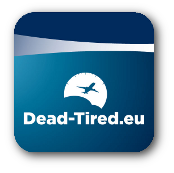 The European Aviation Safety Agency is the agency responsible for drafting a regulation that should ensure pilots and cabin crew are well-rested and fit to bring you safely at your destination. 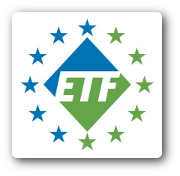 The European Transport Workers’ Federation is a new pan-European trade union organisation which embraces transport trade unions from the European Union, the European Economic Area and Central and Eastern European countries. CAE Parc Aviation is the global market leader in providing aviation personnel on lease to airlines and aviation support organisations, currently providing over 1,400 Flight Crew & Technical Personnel on assignment with 70 clients, operating 20 different aircraft types in over 40 countries. We know that finding the right people for your airline is of vital importance. We work closely with you to identify professional, reliable and committed candidates who will meet your requirements and also enhance your business. Premi Air Simulation Ltd as founded by the owners with the intention to provide those in the public who are responsive for and interested in flying, an insight into the secrets of flight deck management in passenger transport commercial aviation.